While King Leonidas and his 300 Spartans were making their last stand at the pass of Thermopylae, what were the Athenians doing? They were getting ready for a naval battle at Salamis under Themistocles. 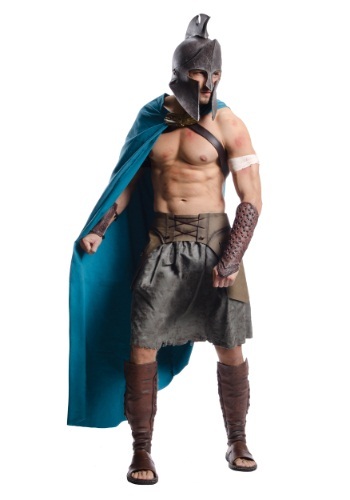 You can look just like him in this 300 Movie Deluxe Themistocles Adult Costume! Do you really want us to say “this is Sparta”? I think that phrase died along with Gerard Butter’s abs. Get the Adult Spartan Helmet and come up with your own catch phrase. We weren't around during ancient Greek times to actually catch a glimpse of Athena to know what she looked like and that's probably a good thing since she blinded Tiresias for such a thing. 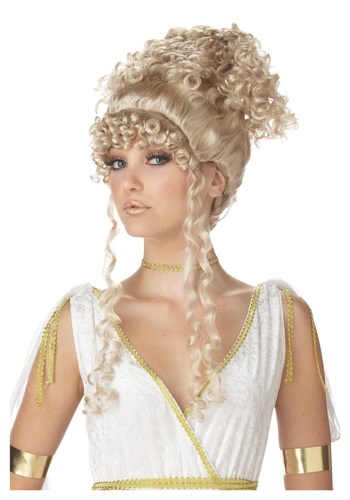 This sultry goddess wig is sort of what we think her hair would have looked like, but like we said we weren't actually there. 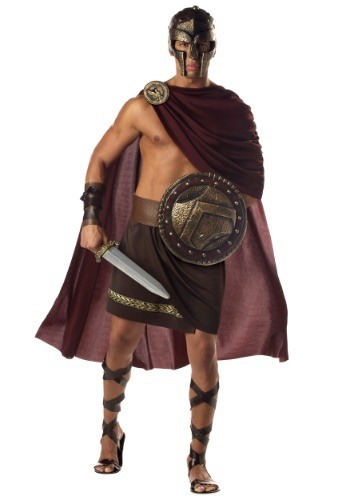 You'll be channeling Russel Crowe in Gladiator when you wear this Muscle Chest Gladiator Costume. This Muscle Chest Gladiator Costume will give you the 6 pack you'v e always dreamed of and wanted to achieve, not to mention those bulging biceps. Pick up a toy sword and a shield and lead your men into battle! 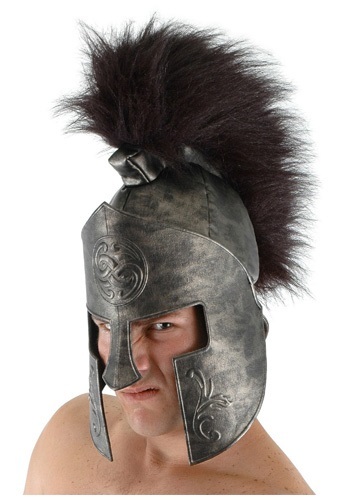 You're not a true Spartan until you're wearing this Roman Helmet. You may not have Gerard Butler's mighty abs, but you can have his costume. And if you're lucky his face! 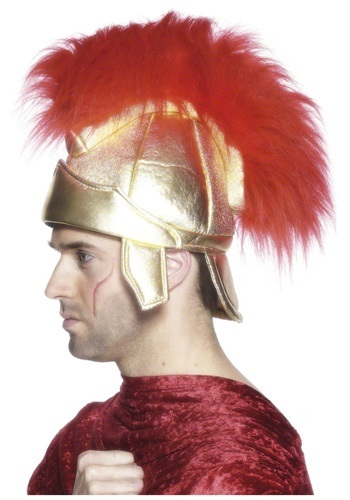 You'll look just like Gerard Butler in 300 when you put on this Roman Soldier Hat. This hat is plush so you can feel free to head bang all night long. It looks great with all of our Roman soldier costumes! Any soldier who charged into battle without a helmet was basically asking for a nasty death. Don't make that same mistake now when you head out into battle this Halloween. 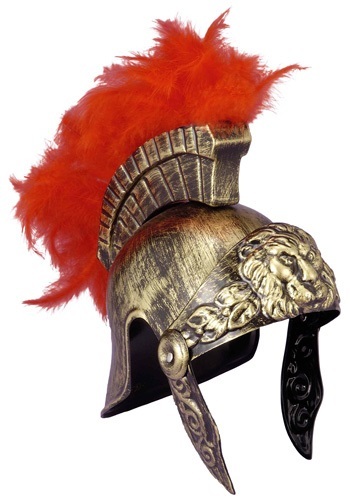 Be sure to add one of these Roman soldier helmets to your costume this year! Real battle is some serious business. Pretend battle is just tons of fun! 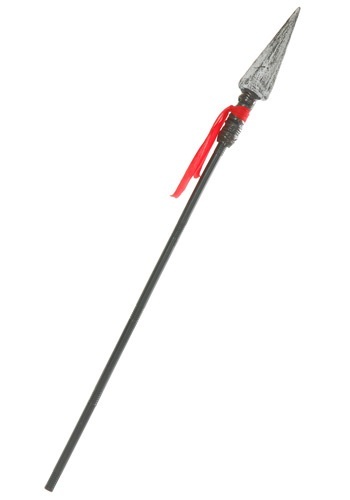 That's why we suggest grabbing this toy Spartan spear and a Greek outfit to go to pretend war instead of grabbing a real weapon and heading to real war. It may not have been how the real ancient soldiers did it, but they never have to know since they've been dead for centuries. Rule the battlefield as one of the most feared ancient soldiers this Halloween season in this Spartan Warrior Costume! 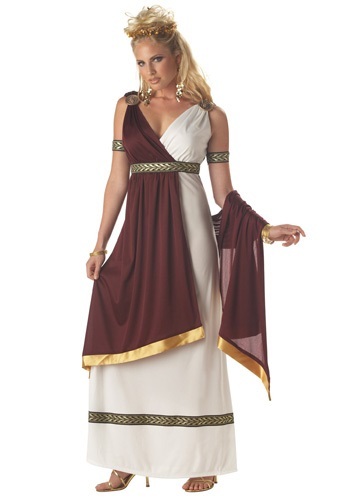 Add lace-up sandals, leg guards and our Spartan shield and sword for a complete look, then check out our women's ancient goddess costumes for your date.